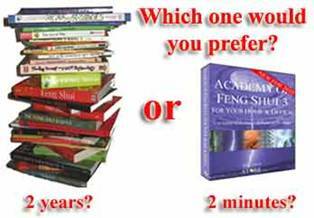 This is an extremely small section of snippets from our Academy of Feng Shui software and Tong Shu Almanac software. This page will be added and updated every day for you all. The best place to start is the Chinese Animal Almanac – Each of us is associated with one of the twelve Chinese animals below; this is all decided by the year and month that you are born. We get a lot of people on our Facebook page saying that they are going to have bad day due to a red face next to their animal but the red face is only used as a warning colour that you should be careful on when doing big tasks like dangerous sports, renovations etc. Some of the best days of my life have been days where my Chinese animal was bearing an unhappy red face, this is because I was able to see that there could be complications ahead of me and I was able to avoid them. So try not to worry too much if your animal is bearing a red unhappy face as this is giving you a chance to be careful what you do during that day. Next we have the yearly, monthly and daily pillars – Behind the text is the current Chinese animal for the year. This will change every year around 4th February, which is the solar calendar Chinese New Year. Some of the calculations of day selection are based on this information. Whilst the solar (Hsia) calendar starts the New Year at the beginning of Spring, which falls normally between the 4th and 5th of February, the lunar (yueh) calendar marks the new year on the second New moon after the winter solstice. The solar New Year is not celebrated at all and is only used for Feng Shui placement and some date selection. The Lunar Chinese New Year Day is very different from the Solar (Hsia) New Year Day. The Lunar Calendar formulates the days of the month according to the cycle of the moon, whereas the solar year is governed by the sun. Although the Chinese solar year starts on a different date from the western year, the theory whereby the year is calculated on how long it takes the earth to go round the sun is the same. The lunar cycle lasts approximately 29.5 days and in order that the start of the Lunar New Year is not too far removed from the Solar New Year, the Chinese insert an extra month, this being called an intercalary month, once every few years. This is why Chinese New Year Day falls on a different date in each of the two calendars. Conflict direction – Avoid these daily compass directions when renovating, digging, constructing, tree cutting, digging wells/ponds/water features, or any other important physical task. Most people will consult their daily Tong Shu almanac and not even travel towards these directions on these days and if they were signing important documents, they would avoid signing them when facing this direction. Todays auspicious numbers –These are six auspicious numbers that are formulated from the three pillars and are great when playing the lottery, bingo and other number based games. This is only a general set of numbers, to generate a set of numbers tailored especially for you to give you optimum auspicious luck, take a look at our Academy of Feng Shui software. Annual and monthly Flying Stars – This is a great tool to familiarise yourself with the Annual and Monthly Flying stars that are present at the moment. The Annual star is the right number in each of the 9 sectors and the monthly star is the left number in each of the 9 sectors. For a more comprehensive Flying Star chart including the personalised stars for your property and a full report on each of the Flying stars including where to place cures and enhancers, it may be worth taking a look at our Academy of Feng Shui software. 28 Constellations – This is an extremely powerful everyday date selection method that will give you a list of favourable tasks and a list of tasks that you should try to avoid. This is only basic compared to the Tong Shu Almanac which will tell you all the tasks that are favourable for you personally and which tasks you should according to your birthdate.